The Quality Inn Westfield-Springfield hotel in Westfield, MA gives you real value with peace of mind. Our smoke-free, pet-friendly hotel is near Westfield State University, Eastern States Exposition multipurpose venue and driving distance to Six Flags New England and Holyoke Mall. 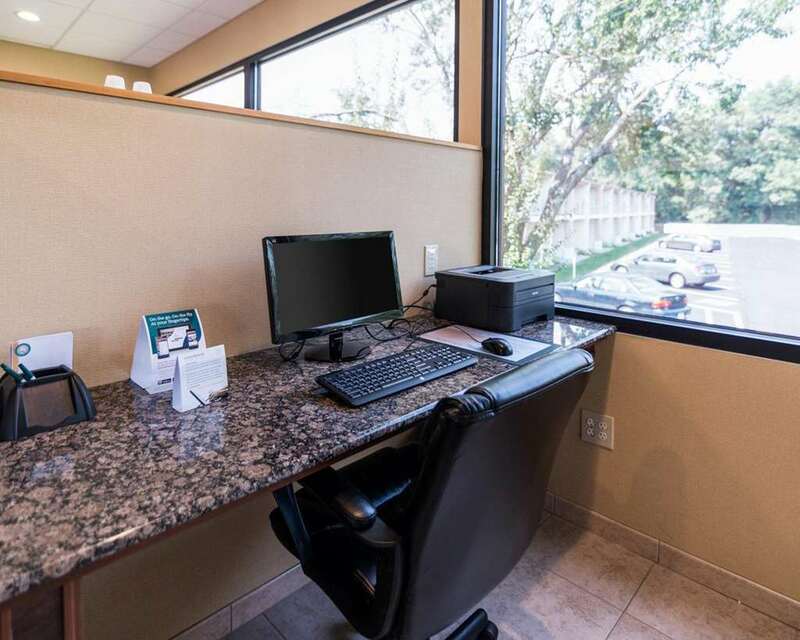 Relax and focus on the people and experiences you came for with amenities that include free hot breakfast, free WiFi, a seasonal outdoor pool, restaurant, guest laundry facility and business center with a computer with Internet. Each inviting guest room features a microwave, refrigerator, coffee maker, hair dryer, iron and ironing board. Also, earn rewards including free nights and gift cards with our Choice Privileges Rewards program. Pets are allowed. 20.00 USD per pet, with maximum weight of 50 pounds. Maximum 2 pets per room.